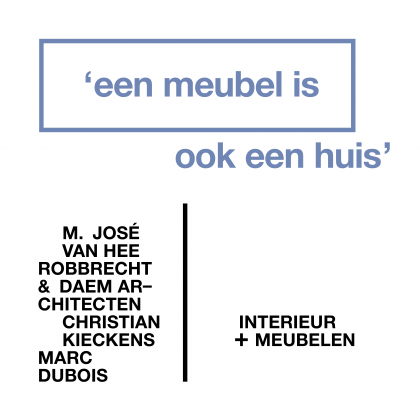 M.J. Van Hee, Robbrecht & Daem Architects, C. Kieckens and M. Dubois. M.J. Van Hee, Robbrecht & Daem Architects, Christian Kieckens and Marc Dubois: five architects, who all graduated in Ghent in 1974, can be considered protagonists of a generation. The exhibition explores their views on interior and furniture designs. A keen interest in construction history, the relationship with art and, above all, craftsmanship characterise their buildings and are the building blocks for their interior and furniture design.